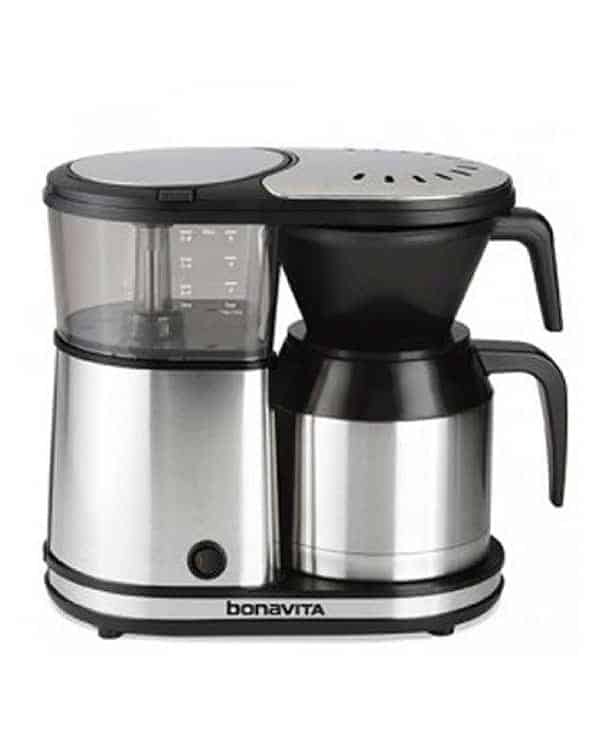 New from Bonavita is a 5 cup coffee maker with a stainless steel thermal carafe. 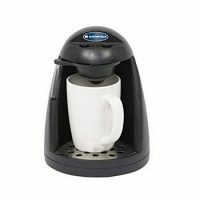 Designed for making 3 to 5 cups of delicious, hot coffee, it brews at the optimal temperature (195° to 205° F). 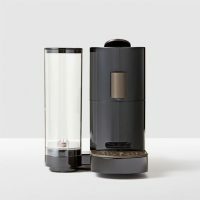 It also features a specially designed showerhead which evenly distributes water over the ground coffee to ensure ideal extraction. 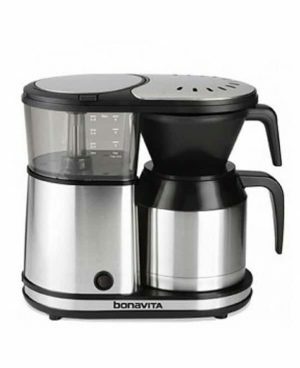 Perfect for those who prefer to brew coffee in smaller batches, the Bonavita 5 Cup Thermal Carafe Coffee Maker is perfect for brewing 15 to 25 ounces of coffee at a time. 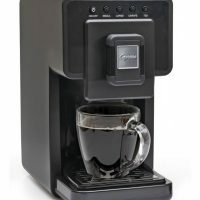 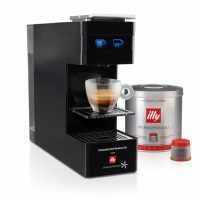 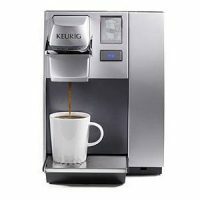 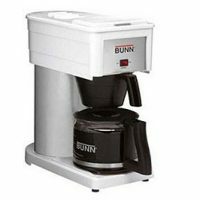 This coffee maker is deigned to brew your coffee at between 195° and 205°, this range is considered by experts to be the optimal brewing temperature for the best tasting coffee. 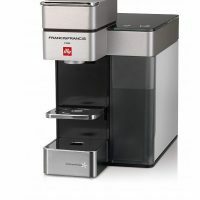 The Bonavita BV1500TS lets you choose between two brewing modes: normal or pre-infusion mode which pulses water through for optimal coffee saturation.